I learned in science class that for every action there is a reaction. The ripple effect of a butterfly flapping their wings in Australia leads to a wind storm in Nebraska. A person in front of you that pays for your coffee, sets the tone for your day. A neurological fellow, in training to be a doctor, who tells you that your child will never roll over, sit up, jump or have a meaningful life will destroy your world. Then remakes you into a warrior parent. I used to despise that doctor-in-training. The one who told me to give up, who placed limits on Bridget. He told me that Bridget had an immature brain wave pattern, a thin corpus callosum and this was something that could not be cured or changed. “If you don’t put limits on Bridget, she will defy anyone else who dares to”. I began this blog because I knew no one like us. No one who had a child with a disability without explanation. Bridget did not have a “known” syndrome. 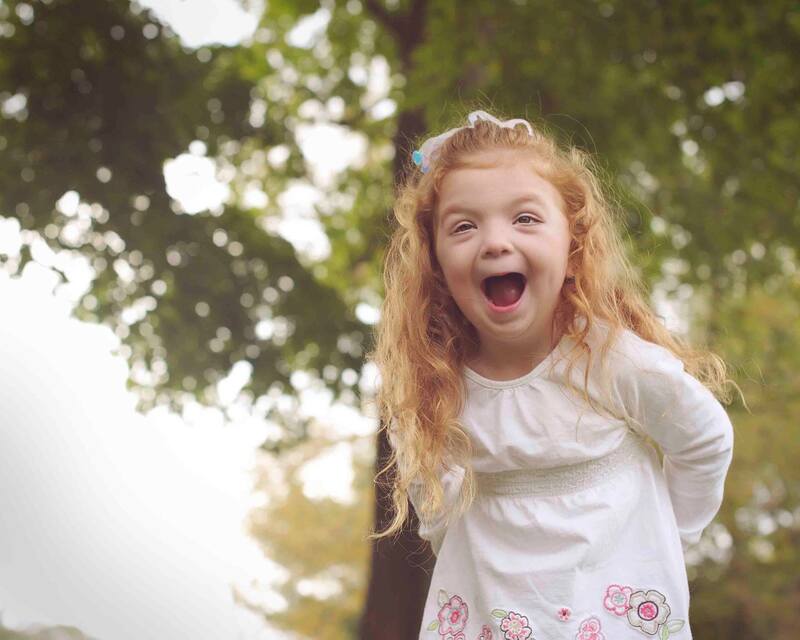 She was undiagnosed with a “unknown genetic abnormality”. I remember writing this blog, asking anyone for help, for guidance, for a freaking Dr. House. A reader responded, leading us on a journey to being diagnosed with PACS1. When I took a job in clinical research, it wasn’t because I was so much interested in research. I was looking for a job that had potential for growth and stability. Five years after Bridget was born, we finally received an answer to that “unknown” and transitioned to PACS1. Except, that wasn’t an answer but a new journey. Only two children in the world were known. Had I not been in clinical research, I wouldn’t have known how to read the research paper, find the one American doctor who had co-authored and learn that we were not one of 3 but one of 11. Now one of 30. Finding out we were one of 11 and there was a small but active families who support one another, who answer questions and fears. Families who understand the celebration of going on the potty, of your child saying they love you, your child rolling over for the first time. A place where there isn’t judgement, but acceptance. Not that your in-the-real-world friends don’t love and accept you. Just a different friendship, born in the internet and solidified in the phone call when you have had a day from hell. Where you look at a PACS1 child and see a would-be-sibling. For every action there is a reaction. Had I not had Dr. Robbins who told us to never put limits, I might have. If I hadn’t written this blog, I wouldn’t have found our Dr. House. If I hadn’t found Dr. House, I wouldn’t have found our PACS1 family. If I hadn’t found my PACS1 family, I would never have been on that blind date. I sometimes fear the ripples. Until I remember that without them I would not be where I am today. A mom whose child jumps, laughs, smiles and by damn does she make ripples. Sometimes you have a ripple effect by being a butterfly. Sometimes you have to sting like the be. I feel the ripple effect when I reach out to a PACS1 mom and she holds my heart just as I hold hers. You touched my heart this morning with your words and story of your precious girl, right from the start with the ripple effect of the butterfly. I am auntie to a girl with Retts Syndrome and another one with Downs Syndrome, and although these are not as rare as PACS1, these girls and their mothers (my courageous sisters) and all the beauty they ripple make this world a better place as do you and yours. Keep on sharing!! Wow, these ripples are really astounding. I’ve been following your journey almost since you started this blog, and I had forgotten how far you’ve come in terms of answers for all of your questions. I did not forget how much Bridget has grown – I’ve loved celebrating all of her triumphs with you, even if it’s not in person. I love this. I love the huge, HUGE ripples which started when Bridget was born, and how much difference has happened in your life because of every stone thrown into the pool, and how those ripples will be working outwards to support other families with PACS1 children. I think you’ve all done amazing, wonderful, WORLD changing things. Amazing! I too remember those doctors who gave us limits, nevers, and won’ts. I think of them often…I think of how little they knew of my girl. How little doctors who think they know everything know. How much the ones who see the true unpredictability of the human spirit know. We are one of a kind here…so our children will show the way forward. This is such an amazing post…I love every bit of it, and I can relate. I’m so glad you didn’t listen to that ignorant doctor-in-training. My mom had a similar, difficult experience with a neurologist when I was a baby. There are so many factors that they never take into account when they’re sitting in those medical school classrooms or memorizing facts from a textbook – Bridget is a testament to that!! And oh YES, I LOVE that you found your PACS1 family. What an AMAZING ripple!! Thank you for continuing to share with us. xo I love following you and your family on your journey. I agree. Many many times I fear the oncoming ripples, but then sometimes they bring good things. Life changing things. This post/this entire blog actually reminds me of my own mother. If online and blogging were the thing back when I was born then I could see her right where you’ve been. This can be a great way to find information and hope. I always have said the best doctors are the ones who are perfectly willing to admit they don’t know it all. All others are clueless. Living day to day with such rare conditions and unknown syndromes can be a scary thing. I still wonder about how the future will turn out. So many brave children are facing that too. If they are lucky, they have dedicated parents right beside them, like yourself. WOW. I think this is one of the most important posts you have ever written. Every mom of a child with a devastating diagnosis should read this.